"Jackie sold my first house in Middletown. And shortly after found my family of four our forever house. She was patient, honest, and determined. She loves what she does and loves her clients more. We could not be happier with the experience we had with Jackie. We love our house as well as the price she negotiated for us. We managed to get everything we told her we needed in a home." "When working with Jackie Williams, she makes you feel like you are her only client. She is always available, whether it is to take a phone call or meet any time at your convenience. She worked tirelessly to sell my house on Race Track Hollow in Middlefield, CT and also assisted us when we purchased our new house. Jackie takes a personal interest in your real estate needs. Her integrity shows through when negotiating with your best interest in mind. She is a warm and caring person who truly strives to do the best for her clients. Whether selling or buying a home, I would highly recommend Sterling Reality. " "Jackie Williams is THE BEST in real estate. The ultimate professional, who knows ALL ASPECTS of the business - not only getting your home ready to market and sell, but also reliable contacts for tasks associated with preparing for a sale - painter, plumbers, electricians, contractors, movers. Jackie is an accomplished communicator, who listens to her clients and is always responsive, takes action. She is well respected by her peers. She texts, emails, gets on the telephone, meets with others, all on behalf of her clients. Jackie is proactive, focused, and tireless in her work. She established an aggressive game plan and executed on it, modifying it along the way if necessary. She does her research and knows the market. The Associates and other staff in her office are also professional and very helpful. GO WITH JACKIE WILLIAMS!" "Jackie Williams is a miraculous realtor. She helped us get our condo in 2003, and she helped us sell it (in less than a month) in 2015. Moreover, over the whole twelve years between purchase and sale, every time I needed a recommendation for a particular kind of workman, Jackie's referrals were first-rate. She even found people who could move me out of my apartment on a week's notice at the busiest time of year! But what really makes Jackie remarkable in this field is the way she seems to understand intuitively what the client wants, sometimes even when the client herself doesn't realize it. There is a lot of emotion involved in buying and selling homes, and Jackie has an amazing ability to combine honesty and sympathy. Plus she is completely on top of all the details at all times. I cannot recommend her more highly as a realtor and as a person." "Most homebuyers start the process anxious, excited, nervous, and some are downright terrified. It’s natural. A home is the largest and most expensive purchase that most people will make in a lifetime. It can either turn out to be a complete financial disaster or a smart long-term investment. The person standing between it being a huge financial mistake or a valuable asset is you, the agent. Still, the agent can only help as much as the buyer allows. 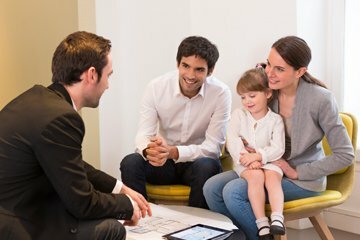 As vital as having an experienced agent by their side is, there are things that first-time homebuyers have to do. Here is a list of tips to help first-time homebuyers help you the agent do the best job that you can do. When you are approached by a first-time homebuyer, share this list with them to help them get off on the right foot. Make Lists: Write out a list of the things that you want and a list of the things that you need in a new home. Share this list with your agent so that they can better help find what you are looking for. 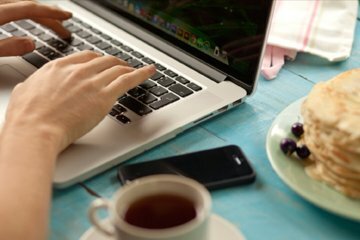 Update or add to your list as you think of things and share those changes with your agent. Keep Notes: Your agent is going to keep solid records of the homes that you see. However you should also keep your own notes as you go to open houses. After each home, share what you liked and what you didn’t like with your agent. That will help him or her narrow the search down for you. Organize Your Documents: Keep your documents organized and all in one place. If you have a pre-approval letter, keep that with you on house hunts in case you decide to make an offer. Any documents that you will need like inspection reports or appraisals should be readily available as you search for homes. Stay Positive: Maybe the most important tip for first-time homebuyers is to stay positive. Even after you have found the home that you want, made an offer, and had it accepted, the process of closing the deal can sometimes take longer than you’d like. Stay positive. If you’ve looked at several houses and still haven’t found what you want, stay calm. Trust your agent to get it right for you. Speaking with an Agent An agent for first-time homebuyers is an invaluable asset. They can help you navigate the process when you are unsure of what to do next. You could call and speak with an agent if you have general questions. However, if you are ready to seriously start shopping for a home, you need an agent now. Feel free to contact agent with your specific questions. " "There are many reasons why it may be time to sell your home. 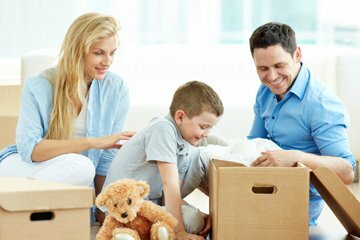 You may need more space to make room for a growing family or you need to downsize after your kids leave the nest. Whatever your motivations, you want to make sure that you’re timing it right. If you sell when home prices are plummeting, you may end up losing on the deal. If you sell when home prices are highest, there may not be a lot of buyers looking to move. So how do you know when it’s a good time to sell? A qualified agent can help you determine if the market puts you in a good place or not. But for your own personal situation, here are the signs telling you that now is the time to sell your home. You’ve Outgrown Your Home Whether you are expecting another child, caring for an aging parent, or have taken in your adult children, when you’ve outgrown your home, it may be time to sell your home. Consider the permanency of the change. Will the kids be there for a long time? How long will you be able to care for your aging parent? Buying a bigger home is one of the main reasons why homeowners choose to sell. You Need to Make a Change Change is inevitable. Maybe you’re tired of shoveling snow and you want to live in a warmer climate. Maybe you have to move so you can go after your dream job or you want to be closer to family. When change entails moving, then a home sale becomes necessary. Home Prices are on the Rise This is one of the riskiest reasons to sell your home. Sure you may get more than you ever dreamed for your home when prices are on the rise, but that also means that you will pay more for another home. Perhaps your agent can help you find a steal in a new location where prices are more level. Then you will have made a huge profit and a smart move. You Need to Downsize Many homeowners are selling in order to downsize. The baby boomer generation is moving into their golden years. The kids are all out of the house and you just don’t need all that space anymore. Selling now could add a nice healthy sum to your nest egg as well. As long as you are smart about how much of that profit to spend on a new place, downsizing could be just the right move for you financially. You Can No Longer Afford Your Home Sadly, there are homeowners who just can no longer afford their home. Whether it is due to divorce, illness, a death, a skyrocketing mortgage payment, or the loss of a job, change in your financial circumstances is a big red flashing sign that now is the time to sell your home. Waiting any longer could have catastrophic financial consequences. In any situation you find yourself in, an experienced agent is the key to helping you achieve your goals. Learn more about how to determine if now is the time to sell your home by speaking with agent now. " "Jackie sold us our house 25 years ago. We met with her recently to talk about downsizing -- IN ANOTHER STATE -- just to get her advice. She said, "I am your Realtor forever, not just for one sale. I will help you find the best Realtor [in the area you are considering]. I'll help you think about what this kind of move will mean for your finances and family." She made it clear that she would not charge anybody for these services. It's part of her overall commitment to her clients. To me, that says it all. She is warm, honest, and in for the duration. I'm pretty sure I would not get this kind of service and attention from one of the big corporate real estate companies." "There are two ways to think about remodeling projects that will boost your home’s value; you can get one or two major remodels done or opt for a bunch of small fixes. Depending on your budget and your timetable, one approach may be better for you than the other. For instance, if you have an unfinished basement, maybe your dream when you first moved into your home was to refinish it. It never happened. But now that you are thinking about selling your home, you feel that a prospective buyer would really appreciate a full finished basement. Is that the remodeling project that you should do before selling? On the other hand, you want to spend as little as possible to squeeze as much value out of your home. Maybe you would prefer to just spruce up the kitchen cabinets or repaint the house. Whichever camp you fall into here are some remodeling project ideas that usually add at least a few thousand dollars to the value of your home. Interior Improvements Depending on where you live, some remodeling projects bring in more dollars on resale than others. Here are some of the interior remodeling projects that can help boost your home’s value: Kitchen Upgrades: Potential buyers these days want spacious, modern kitchens. Simple upgrades like adding new appliances, granite countertops, or new cabinets can pull in the big bucks. Some big-ticket improvements that usually add value include: Adding an island Adding a breakfast nook Adding new ceramic flooring Adding accent lighting Removing Walls: The style right now is open concept kitchens and living rooms. If you have an older home, you could knock down a wall or two to really open up more interior space. If they’re load-bearing walls, removing them will usually push the price tag up. But non-load-bearing walls are easy to take out to add a pass-through window or a bigger entryway. Use a professional contractor to make sure the job is done right. Room Additions: Believe it or not, adding a new room to your home is not as expensive as you might think and can greatly increase your home’s value. Think about converting your attic into a spare room or building a new room addition onto your house. The added space increases the overall square footage of your property and will push your asking price up. Exterior Improvements They are often overlooked when making improvements to your home, but there are a number of exterior projects that can boost your home’s value. Here are just a few ideas for exterior improvements: Outdoor Living Space: Especially in warm weather climates, buyers want a home with comfortable outdoor living spaces. That could mean adding in a slate patio or a wooden deck. Make your outdoor living space an oasis by adding in path lights, pathways, plants, shrubs, and trees. Siding Upgrades: If you are making simple upgrades on the cheap just to spiff up your home exterior, a good paint job will do. To really boost your home’s value try adding new siding. If you replace portions of your siding with stone veneers, it will greatly improve curb appeal and your home’s value. Driveways/Garages: If you haven’t paved your driveway in a while, new paving is an excellent exterior improvement that makes a good impression as soon as buyers pull up to your home. Your garage doors and exterior also make a good or bad impression. Even if you do not make any changes to your garage, you should clean it out and organize its contents for resale. Replace broken windows and locks and give it a good paint job. A qualified agent with years of experience in the real estate market can help you determine the best improvements to make based on your particular market. When you’re ready to learn more, connect with me today. I’m happy to help! " "Having read through the reviews posted here previous to mine as I write this, there is little left to be said that hasn't been said about Jackie and the exceptional business acumen with which she has been blessed. I joked with her when she found for me, my beautiful new home, that it was unfortunate that our working partnership was coming to an end because I would almost sell my new home, just for the opportunity to work with her again. If everyone in business could take a page of what Jackie offers to her clients, both who sell and buy, then we would have a robust economy. Customer service has no bounds for Jackie. She respects and treats EVERYONE with the highest, most genuine regard. She placed my needs, priorities and requirements (which were numerous) first - always. Always. I completely recommend the privilege of working with Jackie for any individual, couple, family planning to sell their home, and/or buy a new home. Jackie, you are amazing. Completely." "I really cannot say enough about Jackie Williams. We made a mistake of not going with Jackie first when we were listing our house. Six months later we signed with Jackie and the difference in representation was dramatic. Within the first two weeks we had numerous showings and a contract, but it was her high level of professionalism and knowledge of the industry that impressed us tremendously. From the listing through to the closing, she took care of everything. In addition to her significant skills and level of expertise, she is an incredibly kind and thoughtful person who understands people as well as her industry. Our only regret is that we did not sign with her first. I can confidently say that whether you are buying or selling, you will be best served by working with Jackie." "Jackie Williams is the Realtor who gets results! Jackie will help you sell your house, or find you the perfect house, like a professional. She gets to know the property, does the market analysis, designs a plan, and executes the plan, always focusing on you and your goal. She worked tirelessly on my behalf when marketing my house that had languished previously on the market. She sold the house in less than one month! Daily Hard Work and Communication! Through her many years in real estate Jackie has developed a network of other real estate professionals who work collaboratively to close a sale. Yeah Jackie! Thank you! Jackie has also developed a network of crafts people to whom she referred me when painting, insulation, attic ventilation, and other work needed to be done. Excellent work done by all. Go with Jackie and her Team! " "My husband and I wanted to write you a quick note about our experience working with one of your realtors, Michelle Mazzotta. We met Michelle when out of the blue I called and explained to you that my husband and I were on a tight timeline to find and close on a house. Lucky for us, you referred us to Michelle who was very willing to support us through this adventure. From day one, Michelle was very motivated and responsive to our needs. She has a special way of keeping all parties involved focused and moving forward, even the bank! In fact, our bank representative commented that Michelle was very tenacious, which I quickly responded "yes, she is!". And thank God that she was, we closed in record time! Michelle kept us organized and well informed and at all times I felt like she was an advocate and ally. My husband and I have purchased property in the past and I can say that this was one of the best experiences we have had. Michelle is a knowledgeable, motivated, friendly and a customer focused professional that I will recommend to friends and family. You have a real treasure Jackie as did we." "Hi Michelle, Thank you so very much for all of your hard work getting me into my new (first!) home. You made what could have been an extremely stressful process a fun adventure. Your communications were always clear, prompt, and accurate. I especially appreciate how proactive you were, providing me answers to questions I didn't even know to ask! From navigating loan paperwork to coordinating inspections to interacting with lawyers, your support and guidance were absolutely invaluable. And you definitely went above the call of duty by spending hours helping me select just the right colors and options with the builder. (Of course, my favorite part of your service was that you brought delicious home-made cupcakes to celebrate my house-warming!) I am getting happily settled into my own place, and I would recommend you without hesitation to all my friends and family. Very best wishes." "Only hire those with Michelle's integrity, patience and energy! She has a great, caring personality and is easy to do business with!" "Michelle is fantastic! Such a pleasure to work with, goes out of her way to help, and is very careful to learn what we want, to find places that fit our needs. She is a wonderful realtor, and such a sweet, friendly, warm person. We will definitely recommend her to others!" "I have known Mrs. Paklos for many years. She was my mother's real estate agent beginning with the sale of her home in Suffield, CT. We found her to be very professional and hard working to ensure that my mother received a fair and equitable amount for her home. Mrs. Paklos spent many hours preparing for open houses for both the general public and broker's opens. After a very quick sale of my mother's home, Mrs. Paklos spent many hours working with my mother to find the 'perfect' home for her. After the passing of my mother earlier this year, I turned to Mrs. Paklos for help in the difficult task of selling my mother's home. Realizing that this is a difficult time in the real estate industry, she has again committed to working diligently toward the selling of my mother's home. I have recommended Mrs. Paklos to friends and acquaintances that are in the beginning stages of purchasing or selling their homes. Her work ethic is above reproach and I find that working with her is extremely easy." "We have been looking to purchase a house for over 4 years now. I have had several Real Estate agents, but they never listened to what we wanted and we were not very comfortable talking to or dealing with them. We took a break from looking for almost 6 months because of this. Then we were sent to Ellen Paklos at Sterling Realtors from a friend of the family. We have been with Ellen for over a year now. She has been a dream come true to us in the real estate market! Ellen has dealt with our ups and downs, positives and negatives, taken the time to get to know my family and the needs and wants we had to have in a home. Ellen has gone over and above, in our opinion, the call of duty as a realtor by helping us through every step of buying a new home. We thought that we knew what we were doing when it came to buying a home, but there was a lot we didn't know. Thanks to Ellen for being there though everything, we finally found a place we can call home and I will always recommend Ellen to anyone I know that is looking for real estate." "Without question or hesitance - I would use Ellen for any/all real-estate transactions. She continues to be the only Realtor I recommend to friends and colleagues when discussions of home buying come up. We honestly can't say enough good about Ellen Paklos. In the span of four years we had sold two separate properties and bought one. Over that time we used four different agents. With the final sale/buy we contacted Ellen (whom came highly recommended - don't they all?) But we honestly found someone different. Of all the factors that make a Realtor a good fit, she fit all of ours. There was never a time when Ellen or her team were not available to us. Even when double booked, she worked with other members of Sterling to make sure we had someone to work with. In her absence her colleague was very knowledgeable of us, our situation and what expectations we had. If that wasn't enough we knew she was always a phone call away. She was knowledgeable and honest. She worked with real and comfortable numbers and spoke open and honestly. She gave us realistic expectations and laid out realistic expectations she had for us. Due to the current economic state and its effect on the housing market (and the way it has been for quite some time) this was a major thing for us. She was not afraid to ask questions or research something. No one can know everything and she didn't fear telling us if she had to investigate something further. Lastly - she is terribly genuine and personable. Not that most other agents aren't but there's a difference. We found Ellen was not only willing to put in the extra effort - but she wanted to. It honestly felt like she was buying with us, not for us. In the end, Ellen was the only agent we've worked with that we were truly comfortable with. She treated us like people not commission. She's just a great person whom happens to be a Realtor and let's herself spill over into her work." "Hi Joseph, Just a few quick lines to say that my wife has informed me that her experience working with you has been most enjoyable and you have shown a very high degree of professionalism, which is something we have not been able to find in the four years of being involved with different real state agents. I want to extend my personal thanks to you. I look forward to working with you in our future real estate needs." "I am amazed when I think that we may not have been here but for all your great work. Thank you." "Kiendra Calloway was my Realtor for my recent purchase of a condo in Middletown, Connecticut for my disables son to occupy. I can't recommend her highly enough. She was extremely patient, very professional, good humored and knowledgable. I'm a fairly experienced home buyer and she respected my opinions, coming up with helpful suggestions at the right time, with the right approach. She handled the myrid of issues that came up during the process and made sure all the deadlines were met. She worked around my busy schedule and responded to my calls in a timely manner. I was very pleased with her work and would say she did an outstanding job. Thank you Kiendra!" "Dear Jackie, I am simply overwhelmed, well, stunned, by the speed of things. I thought you were efficient, but had no idea how sonic-speedily fast you worked! Could someone tell me that I am not imagining that it was just two days ago we saw the house and that we did not know the existence of the house? Getting your contact information from Andy and Elizabeth was the smartest thing I've done, if I may take a credit! One of my friends said that the house seemed to be just sitting there waiting to be found by us. A sweet thought! She is eager to relax on the deck, listing to bubbling sound from the brook, as am I. Thank you, Jackie, for your eminently wonderful help with our house search. Gratefully, Ikumi "
"When I come home and turn the key, I will always remember the outstanding service provided by you and Sterling, Realtors. You not only assisted me in finding a quality home that met my unique taste, you helped me secure financing so I could make the purchase. I also want to extend a special thank you to Jackie Williams for her professionalism and putting me into your care. If you need me do not hesitate to call. " "Thanks for finding me a nice new home and still helping me from getting scared away! I am enjoying being on my own. I rescued a border collie and he is very mellow and laid back. He is great to go running and hiking with." "I am happy that our client is settled and happy in her new home. You deserve all of the credit for making that happen due to your perseverance. I wish all Realtors made the same commitment to their clients as you do. Thanks again and best wishes for a happy, healthy and prosperous New Year." "I have to tell you how impressed I was by the way you handled this closing. Your composure and patience kept the deal alive and I look forward to working with you in the future. Thanks again." "We had the pleasure of working with Karla Naylor of Sterling Realtors in our efforts to sell a home. We found her to be be most attentive, positive and knowledgeable in our quest to sell this home. Phone calls were researched and returned in a rapid manner, above all Karla was up front, honest and realistic regarding this sale. Thank you Karla." "Danae is an top notch negotiator with a relentless work ethic. She fights for her clients' interest every step of the way -- regardless of day or time. Her unique combination of experience, knowledge, and unstoppable dedication provides a buyer/seller with the finest representation available. She's the best agent we have found in multiple forays into the real estate market." "As a first time home buyer in today's market I was worried about making the best investment for me, but Danae's knowledge of real estate and dedication to understand what I truly wanted helped me to find the home I always envisioned for myself. Danae was there for me through every step of the home-buying process and I truly believe that she is the reason that I was able to obtain the American Dream of owning my own home." "After my experience with Mattea I not only had a great place to live but I felt I had also gained a genuine friend. Mattea's process of finding a home for me started off with some simple questions about what I was looking for. After reviewing some MLX listings we were off reviewing houses and condos as I was still unsure of what I wanted. The great part about the experience was that there was really no pressure regardless of how indecisive I was which actually lead me to choosing the right place for me. Like I said when I was finished with the process I felt I had also gained a new friend and this is because Mattea is a very friendly, honest and trustworthy person. I was never afraid to get her feedback on a house or condo and I needed feedback because I was new to the experience. It was really a pleasure to work with Mattea and I will be using and recommending her services in the future." "Mattea Finkle is a one-of-a-kind Realtor. As a client of Mattea's, we can always trust that she has our best interest at heart. She learns about her clients' unique needs and desires, and works tirelessly to make their home buying or selling dreams a reality. She is honest and knowledgeable, and ready and willing to investigate anything a little further, if the need presents itself. Mattea is great about communication, she immediately returns phone calls and emails. She is persistent, and is willing and able to easily open the lines of communication with other buyers and agents. She is professional in all ways. We highly recommend Mattea for any of your buying or selling needs." "Your thoughtfulness, your kind gestures and simply taking a moment thinking of us, we say THANK YOU! You have supported and stuck by our side through all ups and downs and that is a blessing. You are hands down an AWESOME Realtor! You have my recommendation! With love, The Daniels"
"When I was afraid my house would go into foreclosure, I needed to act quickly to prevent the worst. A friend had suggested Joseph Childs, speaking highly of him, stating he helped her with her real estate needs. When all looked like it was ready to fail, Joseph stepped up and, amazingly, sold my condo for a good price and in little time. He not only was my real estate agent, but became a family friend, as well. He really showed me a person who loves their work and is truly dedicated to the people he's working for. I would most definitely recommend him, and the entire Sterling Realtors company, to anybody looking to buy or sell property. He has changed my life for the better and I know he'll change many more." "Agent Camolli worked very hard to understand our particular needs, and was able to show us a large number of properties in a rather short time frame. Once we decided on the property we wished to pursue, she was excellent at providing us with all the information that we needed to make informed choices along the way. To people who are new to the area, this type of support and help is extremely valuable. She works very hard to take good care of her clients." "You are a true professional and did an excellent job listing our home. We will contact you again. Thank you very much." "I love my new home, Sue, and am grateful to you for making the process so easy. You helped me understand my options and get the best house for my needs and budget. Best of all, you made it fun! Thank you!" "Before another day passed I wanted to write and thank you. We are enjoying our new house and the town if Deep River. You went beyond the "call of duty" to help us, and we will pass your name along to others moving to Middlesex County. Chuck and I are so very fond of you, Sue." "Susan provided outstanding work, care and customer service to me and my wife Nancy during the challenging sale of our home in Haddam. Susan has been to us, on countless occasions from her initial contact with us via the internet to the closing, a quintessential Sales agent who worked to keep us informed and all parties involved on track through the close of the sale of our home. Susan communicated with us using the utmost professionalism and kept us updated on facts and timelines. I have to feel ours wasn?t the exception to the amount of effort Susan puts into her clients best interest but her standard for high performance." "Jackie and her team have always done a great job with the dozens of people we've referred to her. Since we are a commercial real estate firm, it's great to have a residential firm as professional as Sterling on whom we can rely to provide great personalized service." "It has been with great pleasure and satisfaction that we have had the opportunity to assist in the placing and training of new sales associates and office staff with Jackie Williams' Sterling Realtors, a process that has been ongoing for several years, and will continue for many more. Quite simply, doing business with Jackie Williams' Sterling Realtors is "Good Business". Bob Allen Director National Real Estate Institute Preparing and educating real estate professionals Tel: 860-344-8207 Fax: 860-344-1478 Email: bob@nrei.us Web: http://www.nrei.us"
"When my wife and I decided it was time to sell our home it was a very difficult decision. However it was a decision made easier with the help and support of David Gallitto. Not only did David counsel us on what we should do to improve our home, he also rolled up his sleeves and pitched in. We never expected to have a realtor make suggestions on improving our home and then help move couches and change light switches! David has worked tirelessly to give our home maximum exposure to potential buyers and has been there for us every step of the way. In addition to working tirelessly on the sale of our home, he also found us the home of our dreams. Not only did we gain a truly great realtor and one we will highly recommend, but we also gained a close friend. If people are looking for someone who will take their best interest to heart, be an advocate for them, give sound advice, work tirelessly, and treat them as if they were family, then David Gallitto is their man. Thank you for everything David." "Thanks so much for the beautiful tulip plants. You are so thoughtful and generous! They are most unnecessary, however, we feel very fortunate to be associated with such a quality and first rate agency such as Sterling." "Jason and I wanted to take a moment to express to express our extreme pleasure with the services of Celeste Fong. We were very impressed at how professional and organized she was. I was very nervous about the whole process of purchasing and selling, but Celeste made me feel completely comfortable. She was there for any questions we had and always had an answer or was quick to find out an answer she did not know. We were quite pleased at how very accommodating she was to our schedules. We were also impressed at how personable she was and how she took time to talk to our daughter and make her feel comfortable. Her personality just fit so well with ours that we felt more like she was an old friend than our real estate agent. We were extremely pleased with Celeste, Sterling and what you both did for us! We love our new home and thank you for everything! Please know that we will be recommending Celeste and Sterling to anyone who will listen!! Thank you again"
"Danae Stoane is an exceptional Realtor. She observes the highest ethical standards while being an aggressive marketer, skilled negotiator, tireless worker and a true advocate for her clients. She is experienced in all aspects of real estate transactions and sweats the details so that her clients don't have to. She knows how to close a deal and makes great things happen for her clients! We recommend Danae without reservation." "OUR STERLING STORY... It had been for about a year that my husband kept bothering me to look into moving to a new home. We looked up houses online and went to some open houses. About two months ago I finally gave in and said if we are going to do this let's call Jackie, she'll let us know if it is even possible. The day I called Jackie it was like calling a friend, she has such a positive energy about her. I told her what my husband and I were thinking of and she set up a meeting with us just to discuss the possibilities. Jackie came by our house and honestly told us what we had to do if we decided to sell our home and what kind of home we would be able to move in to. With her help we decided to put our home on the market and made the few improvements Jackie suggested. Within a week Jackie sold our home!!! It was such a relief to sell so quickly. Even though I was excited, I had reservations about moving. My husband, our two children and I had made so many memories in our current home. Jackie recommended we keep something special, a memento from our home to take with us. What a terrific idea, I kept a house number sign that I made myself and now it hangs in our new home. We have been in our new house a week now and it already feels like home. This move would never have been possible without Jackie's knowledge, expertise, generosity, and dedication. I have never met someone so giving of her time and energy. Jackie's reward is seeing her clients happy and in the home of their dreams. She is honest, forthright, compassionate, and respected. There isn't anything I wouldn't trust her with. Jackie, thank you for guiding us through this process not once but twice. Each time we bought a house with you it was a smooth transaction. Because of you we now live in a beautiful home where we can raise our family." "The following is our testimonial regarding the phenomenal service we received from your agency. Before my husband and I met Jackie Williams of Sterling Realtors, we were pretty much all set to move to the Windsor area. However, after meeting with Jackie, touring the Middletown area and reviewing all the services her agency provides we very impressed! Jackie was able to secure us a spot in a development of new construction homes which is something we always wanted but never thought possible. She negotiated all kinds of extras into our contract that would have never occurred to my husband or me while keeping the cost well within our budget! And the benefits don't end after the sale is done. We continue to receive notes/cards from Sterling Realtors during the holidays and treats for the kids. I've gone back to Jackie for provider recommendations and referrals. She's great! If you're looking for exceptional real estate services, look no further than Sterling Realtors." "To Perspective Clients of David Gallitto and Sterling, Realtors If the general public was asked to rate real estate agents most would classify them with the used care salesmen and crooked lawyers. Unfortunately, the bad personal experiences spread much quicker than the good. Fortunately, agents like David Gallitto of Sterling, Realtors will help dispel that myth. Honesty, integrity, and being candid: those are three characteristics people like to see when dealing with anyone whose thoughts, knowledge, and decisions will have an effect with their money. How nice to have someone who cares. Having an agent who will spend time with a perspective seller to tell them how to maximize their return before doing a market analysis or putting pressure to sign a listing agreement is refreshing. Having someone only a quick phone call away if you have a problem from the time you list to the time the truck is packed and after the closing is done is reassuring. This is David Gallitto. He takes a personal interest in every one of his clients so they know he did his best for them. There are no gimmicks; no high pressure talk; just the truth about the market and how you can best get a quick sale at a fair market price. Now isn?t this what you want from your real estate agent?" "Our Sterling Story? What a wonderful feeling it is to work with Jackie and her entire staff in the process of buying a home. This is purchase number two with Sterling and both times have been wonderful experiences. It is not just a business transaction, you are not forgotten after the papers are signed and the sign is pulled from the front yard. It is the making of a friendship and an invitation into the Sterling family. The real story is this recent purchase that fell into place when my children and I stopped in to say hi to Jackie. They love visiting her! We went in to say Hi and ended up a day or so later with my husband and I going in to meet with Jackie to talk about refinancing (not selling) our former house. We talked about what we wanted to do to the house and discussed our options with her. After a few minutes of Jackie sitting quietly by her computer while my husband tried to convince me we should move, I looked at Jackie and knew that I would be selling my house very soon. She convinced me to look at a house she pulled up on her computer (because it was the right thing to do for my family not because she wanted to sell a house). Let?s just say that my husband told Jackie that he wanted to see this house right now. It was 7:00 pm. Jackie got on the phone, spoke with the seller, the seller got her infant out of bed and we drove to Haddam to see what would become our new home! A few days later we turned our house around to sell and it sold within 5 days. We love our new home and are so lucky to have Jackie in our lives. Thank you Jackie for being who you are; kind, honest, passionate about what you do, full of positive energy and a friend! This never would have been possible without you! Sterling Realtors is the true meaning of HOME. Thank you Jackie, David and Josh for making a dream come true!" "Sue Camolli is the person of whom I am speaking. You are fortunate to have her on your team. I worked with her in the sale of my last home, and cannot say enough about her. She is a consummate professional, bright, and very personable. I consider it a privilege to work with someone of her caliber." "A Place to Call Home...David Gallitto Dave, I just want to extend my greatest appreciation to you in my family's search for a house. You did not help us find a house but a true "home", that fits the needs of not only myself & daughters but my parents who come back to Middletown during the summers! You were always available for my many questions and many viewings. Thanks to the patience of you & Josh at Sterling Realtors - we have found a place to call HOME." "A Can-Do Realtor! Despite the challenge of a declining market and tightening credit, Joseph managed to sell our house for a competitive price in a reasonable amount of time, without compromising our equity. He faced each obstacle with a bold and determined attitude followed by decisive action. He always kept our interests in mind and continually kept us up-to-date. We felt confident that Joseph provided us with the best methods available to sell our home. If you want a can-do realtor, you can't go wrong with Joseph!" "We Do it All ... I am currently using Sterling, Realtors to handle the rental of my multi-family property here in Middletown. Mattea Finkle is my realtor and she is doing a excellent job and I am very happy with the professional service Sterling has provided to me thus far. " "June 2, 2009 Ms. Williams: I wanted to take the time to commend and thank one of your realtors, Joseph Childs. With the terrible economy out there, I can only imagine that only the best of realtors have been surviving. When my roommate and I originally bought our house, we knew that there was a beautiful house underneath it all. The only problem was that the house needed a lot of "beatification" work done to it. We had many ideas for the house, just no money to do it with. We suddenly found ourselves with little money to pay the bills, let alone our mortgage. We were left with no choice but to sell the house we worked so hard to obtain in the first place. When roommate and I first put our house on the market, we knew what a challenge it was going to be. Although the house wasn't in the best of shape, we knew that some creative selling might help our cause. That is where Joseph fit in. We informed Joseph that we were unable to afford any of the "little things" that might have made the house easier to sell. Despite all the work that needed to be done, he aggressively pursued a buyer. During the selling process, our mortgage company was very difficult. They were very unhelpful, and very hard to get a hold of. I understand that they have better things to do than to deal with customers that can't pay their mortgage, but they made the process of selling the house more difficult by dragging their feet. Joseph stepped in, and made calls almost every day to assure lines of communication between ourselves and the mortgage company were open. After all the hard work and "leg work" Joseph put into this deal, we were able to sell the house, and avoid further damage to our credit. I can't thank you enough for having such high caliber staff! I will suggest Sterling Realtors to anyone who is looking to buy or sell a house, and hopefully in the future, when my credit is back in good standing, I will be calling on Joseph to help me find a new home." "I recently sold my condo in West Haven, Ericka was my realtor. I wanted to let you know what a great job she did. Without going into details, my sale was a long time coming and a lot of hoops had to be overcome, particularly because I live in Georgia. Ericka went above and beyond to work around my schedule and get the property ready for sale. And I do mean above and beyond. She spent 8 hours one Saturday helping me clean it after my tenant left. Besides that, she worked hard to manage the property for me in my absence. I could really go on and on, but I will sum it up by saying I would absolutely recommend her in a heartbeat. You are extremely lucky to have her on your team."